Introducing the NEW Sleekgeek Healthy Habit Coaching! 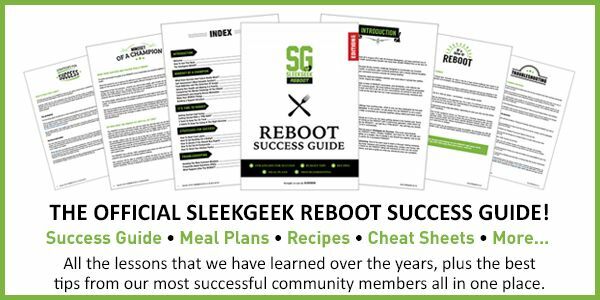 📢 We are thrilled to release the winners of Summer 2018 Sleekgeek 8-Week Challenge! This was our 22nd Sleekgeek challenge since..
We are thrilled to release the winners of New Year 2018 Sleekgeek 8-Week Challenge! This was our 20th Sleekgeek challenge to..
Sleekgeeks has had a partnership with Chrome Supplements and Accessories for many years. We love that they were a start-up business.. The ‘Body Positivity’ movement has become quite the trend lately. Essentially, it talks about taking pride in your body, whether..
ChromeLife offers a complete approach to holistic and sustainable wellness. In short, ChromeLife offers a better quality of life through..